The National Highway Traffic Safety Administration estimates seatbelts and air bags save more than 14,387 lives each year. A new life-saving technology may be just as commonplace – in 88 percent of all cars by 2025, according to Ernst & Young. The “telematics” business involves the linking of cars to computer systems. Right now some cars offer enhanced navigation and emergency services through the technology, but the NY Times says newer applications include delivering data to insurer regarding driving habits like speeding or hard-braking and jamming mobile phones to prevent calls or texts while the car is in motion. We see far too many senseless tragedies as a result of cell phone use in the car here at Hardy Wolf & Downing. And as experienced Maine distracted driving accident lawyers, our firm is committed to protected the rights of innocent victims. Will new technology stop texting & driving? The NY Times tells the story of Scott Tibbitts, a chemical engineer who made docking stations for NASA, and how he got involved with distracted driving prevention technology. He had been on his way to a meeting in Denver back in May 2008 when he learned that the executive with whom he was supposed to meet had been killed by a texting teenager behind the wheel. He immediately embarked on a mission to create technology that would block incoming and outgoing texts and calls while cars were driving. The big question remains: now that the technology is out there, will people actually use it? Aegis Mobility, a leader in the field, has 10,000 subscribers paying $5 a month for GPS service that can block texts, calls, and emails. AT&T’s free DriveMode app has been activated by more than 1.5 million users since its 2012 debut. Tens of thousands of users have reportedly paid $129 for software linking phone and car through Bluetooth, which also blocks communications when the vehicle is in motion. Still, critics say it’s just a “drop in the bucket” because the demand to stay in touch is much stronger than the call for greater safety. Will the technology come standard in all vehicles in the future… or will Google’s self-driving car become the new standard for highway traffic safety? Only time will tell. State Governor Paul LePage has made curbing distracted driving his pet project since 2011. He said fines have not worked to curtail distracted drivers, so he is proposing increased enforcement, license suspensions, and public education campaigns to reduce the number of fatalities related to cell phone use behind the wheel. 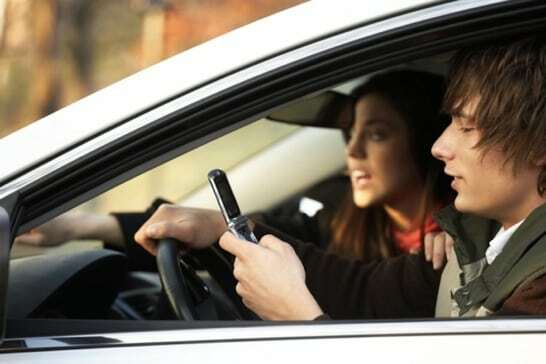 Distracted driving accident victims can count on Hardy Wolf & Downing for help. Over the past 38 years, our Maine car accident lawyers have litigated dozens of claims. Our distinguished track record of success includes more than $100 million in compensation secured for injured Mainers. We are adept at back-end research to discover exactly what happened in your crash, but we also have the gravitas to represent your best interests before a judge and jury. After a free case evaluation, we can help you file a personal injury lawsuit and pursue compensation for medical bills, vehicle damage, lost income, emotional hardship, and more. Call us today at 1-800-INJURED.